Contact me via EMAIL with your questions or requirements! Do you want a custom, poseable, paper design of your own to help promote your product? 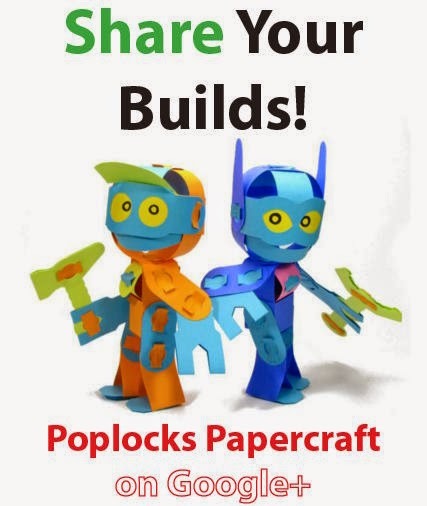 Poplocks - the current main feature technology on Paper Poseables. Perfect for die-cut products and No Glue required! Seven case designs, each featuring a special mechanism to act as a shutter for the pinhole camera. Original content on this website is offered to visitors through a Creative Commons Attribution-Noncommercial-Share Alike 3.0 United States License. Commercial and Promotional use of content available on this site is prohibited without licensing. If you need a custom, one-of-a-kind construction, or a template ready to distribute via print or download, you'll receive the design that will fit your specification.